There are only a few lucky people who stumble upon financial security and for the most of us, the only way to really be financially secure is to invest and or save over a long period of time. Investing is basically finding a way to make your money work for you. The two basic ways to make your money work for you is through interest or your money earning more money and by purchasing something that will increase in value. To set two simple examples, for interest, an example of this would be loaning and receipt of interest accrued through repayment as well as buying stocks and being paid “dividends.” For the second method, purchase what will increase in value, this can be by purchasing a house that you can sell later on for a higher value. Compounding interest, the purpose of investing, will earn for your existing capital. There are different types of investments you may venture into including gold and silver, individual investment accounts (IRAs), stocks and bonds, to name a few. However, one of the most stable and viable investments would definitely have to be gold. It has been the sound and profitable choice and has consistently been assessed to have a high value. Gold is a universal commodity that remains to be of high value and accepted form of payment all over the world. Gold has proven, for centuries that it has the capacity to maintain its high value and protect against the effects of inflation. Generally, the price of gold tends to rise as the cost of living increases making it an excellent hedge against inflation. Aside from this, gold is a liquid asset in that it can be readily bought or sold all day every day in markets all over the world, which is not the case for other forms of investment including stocks. Gold is frequently likened to “insurance” because by its very nature, it is an asset that is not the liability of someone else, meaning you do not depend on another person’s ability to pay. Generally speaking, gold is significantly less volatile than other commodities in the market and remains to be a little to no-maintenance investment. Gold has been described as the one true valuable currency as its high worth continues to be unchangeable and cannot be controlled by the government. People invest in gold as a form of protection in the event that the value of other assets including paper money is eroded. As previously mentioned, gold is less volatile that other commodities making it an assist that can ultimately diversity and reduce the risk in your portfolio. Gold may be able to manage the risks in your investment portfolio. In light of the global credit crunch and decline in the US mortgage market, an investment in gold will save you from the risk of credit defaults or failures within the banking system. Gold can be your safeguard against currency debasement, global uncertainty and inflation. Due to the advancements in financial instruments, gold has become more accessible to the ordinary investor. It has become a real option for individuals who are looking to generate big returns on their investments. 1. Physical Ownership. This can be through gold bars, bullion coins, and even jewelry. 2. Futures/options or Gold Investment Stocks. These may be in the form of mining firm stocks or mutual funds invested in the gold industry. 3. Purchase of an exchange traded product (ETF). This is done through a financial institution where give money to a bank for a specific time and upon maturity, you get returns based on the performance. Bonus: Another great way to invest in gold is via a retirement vehicle known as a “Gold IRA.” Click Here to learn more about it and how it can become apart of your retirement portfolio. What is the Demand for Gold? Over the past decade, especially after the fall of the US currency in 1998 and 2008, people have flocked to gold for security which has resulted in a higher demand thus the raising of gold prices. Trends have shown that the rising income levels in the market have contributed to the sustained growth in terms of demand for gold. Further to this, the mining output of gold has not increased dramatically due to rising production costs which provide a positive outlook in the long-term viability of gold as an investment. The fact that unlike paper currency, gold cannot be constantly printed by the federal government or “created,” the limits in the supply of gold versus the growing demand have been pushing the price of gold steadily higher. Experience and knowledge have shown that gold and gold-based investments are solid choices. Aside from being stable during global geopolitical instability, gold can contribute to enhancing an investor’s diversified investment portfolio. P.S. 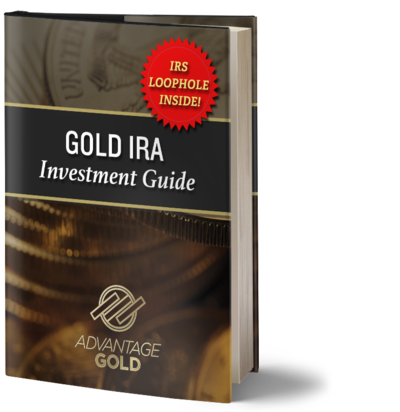 Make sure you checkout our reviews of the best gold ira companies if you are considering putting gold into your retirement account.